Bad luck does not come knocking at your door. They are always unpleasant surprises. At times things can turn out against favor at your wedding. Like you can not control the weather or skin breakouts like pimples a day or two before the wedding So, what is the harm in being extra careful? If any of such disasters take place before the wedding, all pre preparation goes in vain. The decorations, ideas, preparations all turns ugly. So, it is very important that you at least try to avoid wedding disasters on the special day. 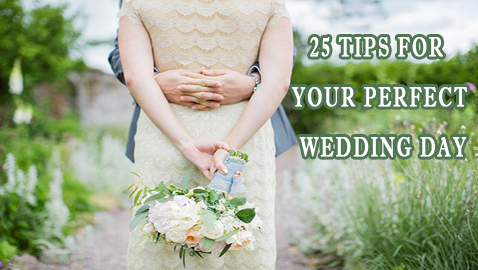 Below are some of the most common wedding disasters with the various ways to avoid them. When you get up with a pimple, tears are add ons. Imagine getting a pimple on your face on your wedding day. Even the thought is horrifying, right? A small pimple breakout can spoil your flawless beauty. Therefore, to avoid it, drink plenty of fluids, especially water and fruit juice. Tip: But even if you get one taking all the precautions, try to hide it with a concealer. This is one of the most advocated wedding disasters. Many a times it happens that the makeup artists spoils the overall beauty by applying too much makeup or by picking the wrong shades that does not go with your personality. Tip: Redo the makeup so that you do not look funny or scary on your wedding. I can understand the feel you get when you find out that the beautifully designed and decorated cake for your wedding is melting. All your hard work and planning goes in vain. Tip: Store the cake is a cold place to avoid hot weather wedding disaster. It takes months to choose your wedding dress but what if by mistake it gets torn upon wearing? This is the worst of all wedding disasters and can spoil the whole event. Tip: Be extra careful while wearing and carrying your wedding outfit. Yes! Rain can add a spice to your romantic mood. But the same rain turns out to be a disaster if you have organized a beach wedding for yourself. Tip: Put up tents and shades as a precaution to protect yourself on your wedding day. Marriage is the biggest event that will happen to you and will change the course of your life forever. It is a big leap to a completely different world. If you are panning on getting married sooner, hold on! Rethink on your decision once again Are you ready for the big commitment? Are you ready for the upcoming changes of your life? I think there are some important things that should be thought about when it comes to marriage and the whole idea of life changing. The bottom line in any marriage is the cultivation of the holy bond between two people. Both the individual become one soul to begin a new life’s journey. Therefore, before you walk up the aisle or sit on the mandap, make sure you ask yourselves these questions. These questions will only help to get to know the other person better but also will let you know where you stand on the relationship and commitment scale. Note: The youth of today are not being able to maintain the balance between career and the family. Therefore, these are some of the questions which need to be asked before marriage for an effective relationship. 1. ‘How much influence do your parents still have over your decisions’? The generation of today likes freedom. Therefore, couples should ask their to-be spouse this question before marriage. 2. ‘What do you like, or dislike about my family?’ This is a question that should not avoid. The couple should be crystal clear about feeing for their in-laws. This way they will get to know the family better. 3. ‘How close are you with your family’? This is an indirect question for asking”Are you a mama’s boy?” Women who marry men who are mama’s pet is very hard to deal with. 1. ‘Are we both professionally established’? This is the most important question that needs to be asked before marriage as in today’s world both the spouse needs to be stable for a successful marriage. 2. ‘How will we manage debts and savings’? The second most important question that needs to be discussed before marriage is whether there is any sort of debt and how will you deal with it as a couple? 3. ‘Will one of us give up our career to stay home with our child/children’? Is this a crucial step couples need to take in India? No matter how big an event is, if you plan it out from the scratch, you will never have to face those last minute hassles. I have come up with 25 simple steps which upon following you will not need to pull your hair in the last month of your auspicious occasion. 1. Pick up a Date: Always keep 2-3 options in hand. But ask for your most favorable date first. Check the day of the week and season of the year and plan accordingly. Also keep an eye on the technicalities and do not be too choosy. 2. Estimate your Wedding Budget: Do not get swayed away on the budget and try to keep your feet on the ground. Try to conduct a small research to check on the current market rates and make estimation accordingly. Perhaps a bit higher. 3. Finalize the number of events: This factor largely depends on the wedding budget. It is okay to cut down a number of small events and use the money for something important in the wedding. Further more, these small events make you tired and exhausted and leave you with very less stamina on your final day. 4. Estimate the number of guests: Let’s get real here. You can not go by the phrase “More the merrier”. Invite only those that are close to you and would miss them if they do not attend. Too many people will be difficult to manage and handle. 5. Wedding Venues: A background research is very important while deciding on the venue of your wedding. Try to visit a few of the venues by yourself so that you can decide better. Check out what format does the wedding venue covers and if it matches your wedding schedule. 6. Save-the-Date cards: These cards have a crucial role to play if you have your guests at a distant town. This way it will be easy for them to plan their visit as well. Today, you can DIY and e-mail it for free as well. 7. Tailor: While finalizing your tailor make sure that he/she knows hand work as well. Remember that the quality of tailor differ from person to person. You can add that X-factor to your typical saree that way which is sure not to go unnoticed. 8. Photographers & Videographers: These are the most important elements in your wedding as they are the only ones will take you down memory lane in your future. Get quotes from all of them and self-rate your favorite ones. Conduct an audition and finally choose the best. 9. Catering: Food is very important in wedding. Even if some events go wrong, food can compensate it all. For live weddings, arrange for food trials 2 hours after the food is put up on the counter. From the feedback you get, take quick decisions. 10. Decor: Select a theme first if you wish on planning a theme wedding. Conduct a proper background research with your decorator and explain your expectations. Book sufficiently early as the good accessories they have might get booked. But do not panic. The market is full of alternatives too. 11. Wedding Trousseau: Do not go for last minute shopping. You will only confuse yourself and end up spending more. Avoid repetition. Make sure about what you want, the style and the pattern and also the count. Shop within your budget as fashion keeps on changing and you will need to shop after wedding too. 12. Jewelry/ Accessories: If you do not like artificial jewelry for your wedding day, shop for the jewelry before the main wedding outfit. This way you can match it with your outfit, as vice versa will be daunting. Otherwise you will end up customized which will be very expensive though. 13. Engagement Party Planning: Try to schedule your engagement 2-3 months before your wedding so that you get enough time to plan your wedding. This way you can also learn from the mistakes and the situations that went wrong in the engagement and avoid them in the main wedding. 14. Invitations: Keep the invitations printing towards the end when majority of your expenditures are decided. This way you will know how much you are left with and how much can you spent. 15. Honeymoon Plans: Start planning for your honeymoon immediately after the venue is booked. 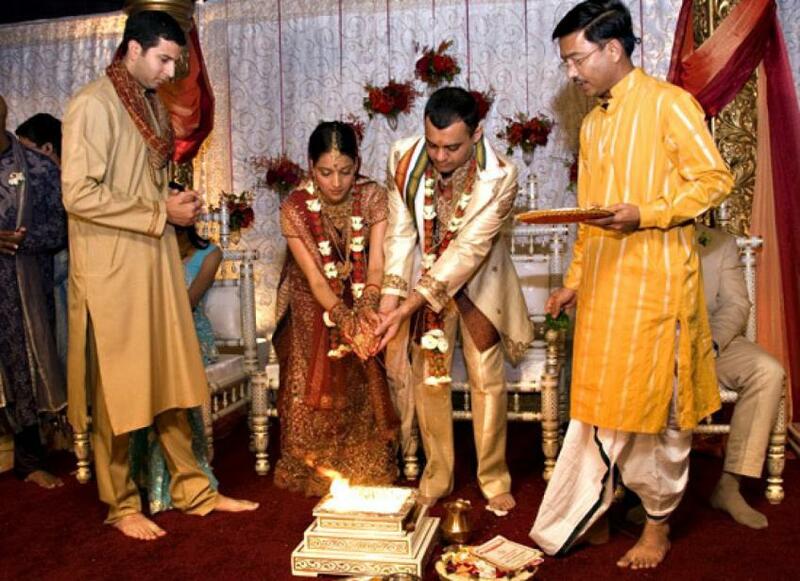 Consult both the families – your parents and in laws if they need you for some post wedding rituals. And when you get the green signal book your tickets. 16. Beauty services: Pay special attention to services like Mehendi, Hair, Make-up and Sari draping. Talk to them before have and conduct a test before the wedding so that nothing goes wrong and you look elegant and beautiful. 17. Wedding Cake (Optional): You can have one extra event and an added dessert in the menu such as the wedding cake. But, hey! You do not have to spent lot. 18. DJ (Optional): Well, if you are tight with the budget, you may always compile all your favorite wedding songs and ask one of your cousins to be your DJ for the night. 19. Book your Priest/ Pundit: Talk out beforehand on how much time will be required for the rituals to complete and plan the rest of the programs accordingly. Also consult on what kind of attire you will need to wear for the ritual. 20. Wedding Favors: In Maharashtra, weddings sarees are given as wedding favors. But, there are few other options for you to explore too. Decide on them and take blessings from your guests. 21. Rukwat: It is seen in Maharashtrian weddings that the bride’s family displays gifts/food items on a table. So, you may always put photo frames with the engagement pictures or cute pictures of the bride and groom. Make sure nothing goes waste in the food section. 22. Ceremony preparations and Other Stationary: Add a personalized touch to your Gift packing, Trousseau packing by doing it yourself with the help of your close friends. 23. Bridal emergency kit: What is the harm in keep a Bridal emergency kit for the times that might go wrong in a wedding? Hand it over to your Maid of honor. Safe your wedding from any disaster this way. 24. Pre-Bridal treatments: From gold facials to spa therapy, talk with your makeup artist and get relaxed and make yourself feel special. You deserve some sooth after a hectic pre-preparation schedule. 25. Thank you cards: You can always personalize and mail those cards once you are back from your honeymoon. Plus, they are free of cost. Indian weddings have always been known for their grandeur and fun atmosphere, but when it comes to planning them, it’s a whole different ball game. With the amount of events leading up to the wedding and the what-seems-like 40 different rituals within the ceremony itself, it can be overwhelming for brides-to-be. So let’s break it down. Remember, because of the numerous sub-cultures within the country, there are several different versions of what people consider to be an “authentic” Indian wedding. Below is a loose guide, but keep in mind there are many other traditions out there! 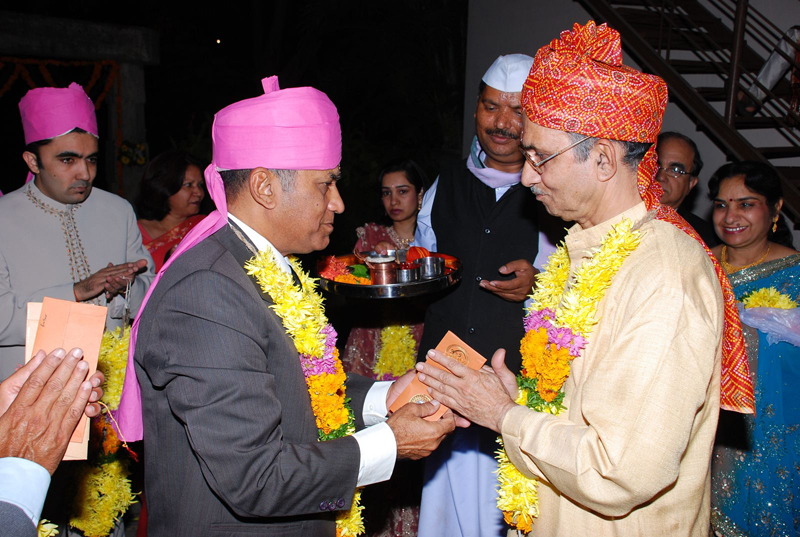 The pithi ceremony is an auspicious ritual performed for good luck. 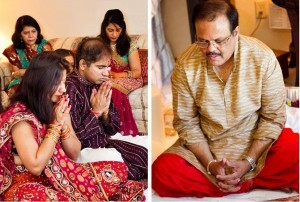 Generally, the bride and groom have separate pithi ceremonies at their family homes. Pithi is a paste made mainly of turmeric, chickpea flour and rose water. 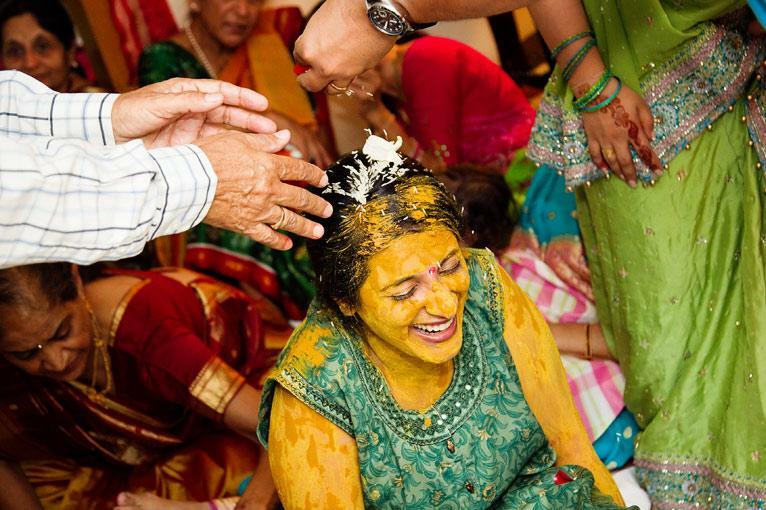 Family members and well-wishers of the bride and groom apply the paste on the bride/groom’s skin. This yellow paste is thought to brighten and even the skin tone and is applied on one of the days prior to the wedding ceremony. The Mehndi event is a colorful celebration held the night before the wedding, which is traditionally celebrated by the women on the bride’s side of the family. Generally, a professional mehndi artist or relative will apply henna in intricate designs to the hands and feet of the bride and other women in the family. These intricate designs symbolize joy, beauty, spiritual awakening and offering. Guests create a festive atmosphere by dressing in bright colors, singing traditional wedding songs, and dancing to popular music. A traditional wedding ceremony consists of a series of religious rituals that unite not only the bride and groom, but also their families. In the Indian culture, maintaining close ties with immediate and extended family is crucial. For most Indians, family plays a key role in making life decisions. The wedding ceremony begins with the arrival of the groom. 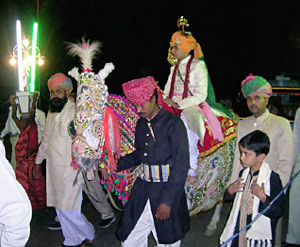 Accompanied by his family and friends in a festive procession known as the baraat, the groom arrives at the entrance of the wedding venue on a horse. The procession consists of his family and friends singing and dancing around him to music generally played by a professional dhol (large bass drum) player. The baraat is met by the bride’s family at the entrance to the wedding venue. The bride’s mother greets the groom with a welcoming ritual. Relatives of the bride and groom embrace and greet each other with garlands. The bride’s family then escorts the groom to the mandap, a canopied altar where the ceremony is performed. 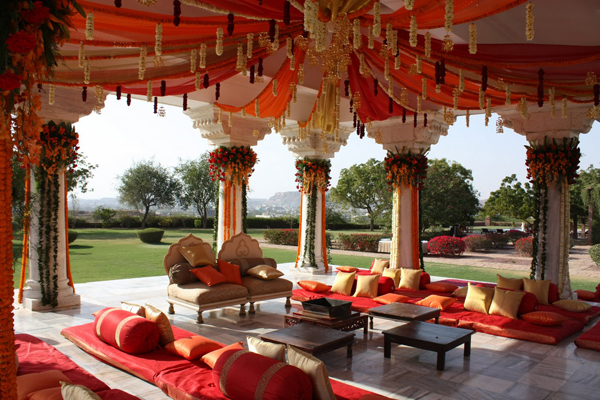 The mandap represents the home that the bride and groom will make together. The ceremony begins with a worship of Lord Ganesh, the destroyer of all obstacles. The priest guides the groom and bride’s parents in offering flowers, sweets and prayer to Lord Ganesh. 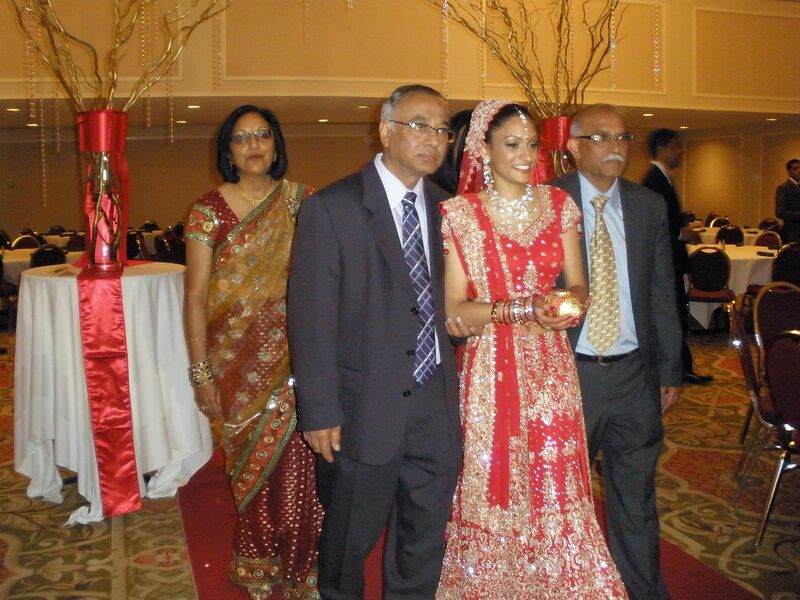 The bride enters the hall and is escorted to the mandap by her maternal uncle and aunt, signifying that the bride’s maternal side approves of the union. In other parts of India, the bride is escorted by her sisters, cousins and close female friends. Once the bride approaches the mandap, the bride and groom exchange floral garlands, signifying their acceptance of one another. 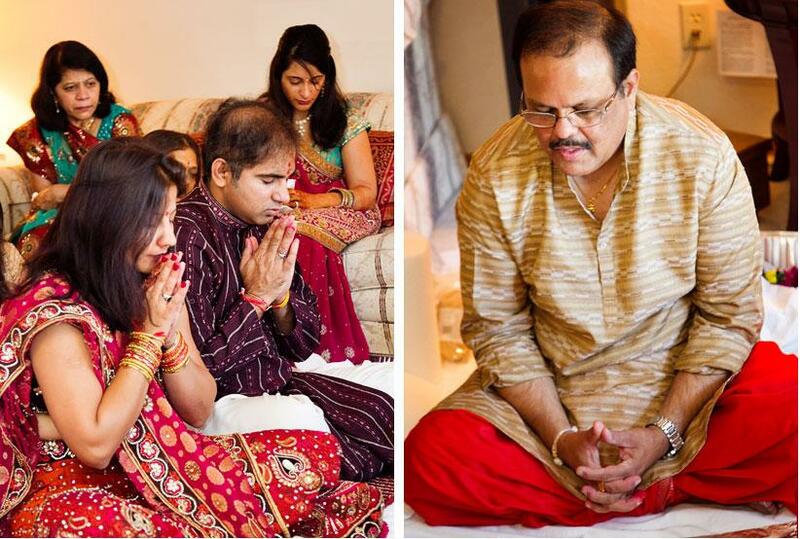 At this point, the bride’s father pours sacred water in his daughter’s hand and places her hand in the groom’s hand, officially giving away his most precious gift to the groom. The groom’s sister or cousin then ties the end of the groom’s scarf to the bride’s sari with betelnuts, copper coins and rice, symbolizing unity, prosperity and happiness. The knot represents the eternal bond of marriage. The priest then lights the sacred fire or Agni. Agni symbolizes the divine presence as a witness of the ceremony. Commitments made in the presence of agni are made in the presence of God. 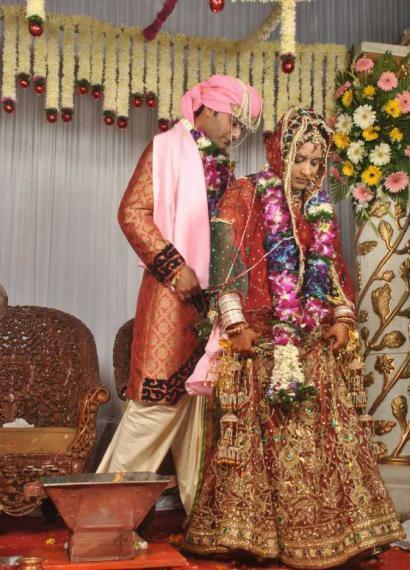 The bride and groom walk around the sacred fire seven times keeping in mind the four aspirations in life: Dharma (duty to each other, family and God), Artha (prosperity), Karma (energy and passion) and Moksha (salvation). The bride, representing divine energy, leads the groom in the first three rounds, while the groom leads in the last four rounds, signifying balance and completeness. In some cultures, the bride and groom walk around the fire four times, with the bride leading in the first three rounds, and the groom leading in the final round. The bride’s brother places rice grains in her hands after she completes each round to signify his pledge to always support and protect her in times of need. Once the couple has completed the four rounds, there’s a race to see who will sit down first. It is said that whoever sits down first will rule the house. 1. Together we will live with respect for one another. 2. Together we will develop mental, physical and spiritual balance. 3. Together we will prosper, acquire wealth and share our accomplishments. 4. Together we will acquire happiness, harmony and knowledge through mutual love. 5. Together we will raise strong, virtuous children. 6. Together we will be faithful to one another and exercise self-restraint and longevity. 7. Together we will remain lifelong partners and achieve salvation. When they return to their seats, the bride will move to sit on the groom’s left side, taking the closest possible position to the groom’s heart. The groom then offers the bride lifelong protection by placing a mangalsutra, or sacred necklace made of black and gold beads, around her neck and applying sindoor (red vermillion powder) on the crown of her forehead. These two offerings signify the bride’s status as a married woman and the grooms devotion to the bride. The bride and groom also exchange rings at this time, feeding each other sweets. Women from both families whisper blessings into the bride’s ear. The couple then bows down to the priest, their parents and elder relatives to receive their final blessings. The guests shower the newlywed couple with flowers and rice to wish them a long and happy marriage. So, you have found your soulmate, the question’s popped and you are all set to sit in the mandap. But is the idea of an expensive and huge wedding making you cold? What is the harm in having a small and simple wedding, then? We understand that a lavish wedding is intriguing. But isn’t the dream is to celebrate the big day amidst your loved ones? Well, money cannot just be the sole factor for having a small wedding. Well, look for most exciting reasons to opt small wedding below. We are sure you will cast aside all the grandiose celebrations attached to the idea of a ‘big fat Indian wedding’. A day dedicated only to you and your loved ones: The advantage of having a small wedding is that you may invite only those people who are close to you. Step in the new world surrounded by your most loved ones, feel comfortable and make the most cherished memories. Better interaction with guests: Won’t it be wonderful if you could spend quality time interacting with guests who have come to attend your wedding? The fewer the number of invitees, the more personal you may get. Your guest will also be highly obliged with your gesture. Small wedding also help you get over the awkwardness of making small talks with relative you have never known. Dump your tension and feel more relaxed: You invite only your close ones to a small wedding and therefore your big day turns to be a much more relaxed affair. You will finally get a celebration feel rather than an Indian social event feel for everyone’s entertainment. Well with smaller affairs, you are sure to enjoy more. Spend more in luxury: If you plan on a small wedding, you will have more opportunities to spend. Do not go for the myth that small weddings planned only to save money. Most couple cut down on unnecessary expenses only to make their wedding celebrations truly luxurious. Saving up more for an exotic honeymoon trip: All the money you saved can be utilized for an extended honeymoon to your most desired destination. It will be a great plan to take a lavish honeymoon break after the long tiring months. More options are opened: A small Indian wedding avails to you a lot of venue options. Large weddings involve a lot of tasks from arranging different wedding vendors to working out on deals with them. But when narrows down to a small wedding, you may decide on a plenty of choices. It has lesser things to take care of and therefore you may focus more on the preparations. Your own personalized celebration: A small wedding helps you personalize its preparation according to what you have always planned. You may also decide on lavish perks like revolving stage at the venue. If you always wanted to wear designer lehenga for your wedding, no one can stop you now. Consider destination wedding: Was having a destination wedding always your dream? Well, if you opt for a smaller wedding, such luxury is easily available. All you need to do is to your bags, book your flight and finally let the exotic destination be the perfect setting for your wedding. Making cute personal memories: Because of the heavy responsibility and rush many couples does not get enough time to enjoy on their own wedding. If you are having a big fat Indian wedding you are sure to feel lost amidst hundreds of guests. In small weddings the couple can not only enjoy but also feel relaxed in the midst of dear ones. Make memories with moments involving eye-contact and sly smiles to cherish forever. Making your wedding an unforgettable affair: Your wedding is sure to make the right impact on your guest. Anyone can have an expensive wedding, but your small affair will always be imprinted in the minds and hearts of your guests if you did it right. This perfect wedding will always be about the things that were shared and nothing about that was missing. Family staying out of India can plan the wedding in India without much trouble. They need not worry about the arrangements as Indian wedding planner is very quick and hasty in responding to your thoughts and dreams. If one is looking forward to plan a wedding in India but has not been able to find out the ideas regarding the location, arrangements and theme, then the person just needs to be with wedding. A member can book the event and the event planner online and relax. Indian wedding planners have got many marvelous wedding ideas and wedding themes. It just requires one’s assortment and the work is carried on right away. 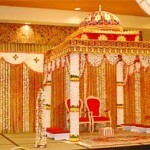 Indian wedding planner will come out with great location across India. 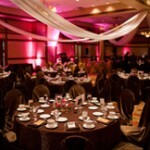 Booking of an event planner can be done online and offline as well. Decide any location in the country and the wedding planner will arrange each and the whole thing without your personal participation in the event. Even if selection of the location is getting difficult for a person then he or she can leave it to the wedding Planner. 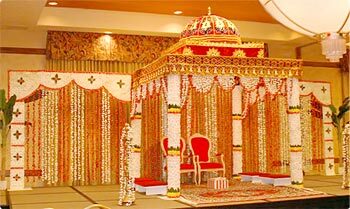 The planners will help in selecting the best temple and decor them radiantly with their implausible thoughts and will make the ceremony royal. For those who believe in tradition wedding, event planner can offer wedding music, wedding candy box, wedding decoration, catering services, invitation card, marriage hall / party plots, wedding theme, wedding photography, wedding gifts, wedding cards and wedding accessories and everything. Moreover, traditional wedding dresses of bride or groom, vehicles decoration and Mandaps/wedding stages will be arranged via wedding connivers. Wedding in temples are other side of customary Indian wedding. If one wants to tie the knot in temples then the event planner has got bright ideas to make the temples nuptials remarkable and memorable. Make sure you chalk out a well thought out event management proposal after some brainstorming with your clients and associates. It will add to your sense of professionalism. 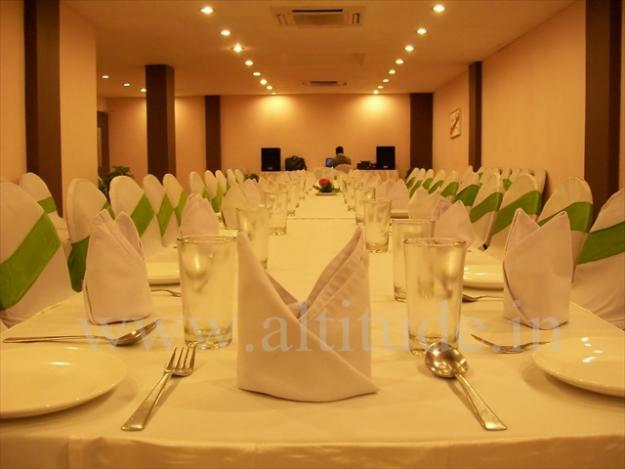 Therefore, there is no additional burden to bear on your part apart from looking after the guests. 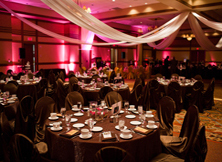 You can come across many service providers dealing with event management programs. You can browse their database and compare their prices, services and their collective experience. After that, weigh their record of accomplishment properly and approach the best one. These days, many corporate managers are showing interest towards some particular event management service providers. The reasons are obvious. A corporate environment generally has a tight schedule and managing events like award functions, cultural functions, inauguration ceremonies, fashion shows, etc becomes difficult particularly if you have to look after them personally. After that, weigh their record of accomplishment properly and approach the best one. Most importantly, be always careful regarding the prices because you seldom come across the best deal at a cheap rate. Generally, you have to bear a substantial expense for managing the show perfectly. Generally, you have to bear a substantial expense for managing the show perfectly. Otherwise, at the end of the day the higher authorities might point their fingers at you. So it is better to be safe than to be sorry. Again, it has been observed that in spite of proper planning and execution, many of the events have failed to make the desired mark on the minds of the spectators due to lack of professionalism. Therefore, it is strongly recommended that you employ well-trained staff to handle the respective event because their superiors give such persons expert training in managing the show unfailingly. The ultimate target is an attractive presentation for the clients. Wedding are considered as one of the most sacred and memorable events of one’s life. Every family has desire of celebrating marriage in royal and grand way. We provide personalized and innovative wedding management services. Event Management India Services is one of the most trusted and respected wedding planners in the country that provide complete wedding solutions. We work in a phase to make your Dream wedding come true, which involves initial consultation, budget setting, designing wedding package and itinerary, organizing the vendors chalking out the finer details on every important issue and on the day coordination. In fact you will feel just like a guest at your own wedding because we leave no stone unturned and handle. There are several fascinating designations in India to celebrate dream wedding. Just waltz into celebration forget the cares, feel the excitement, turn on the guests. Make it memorable. 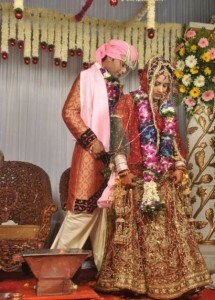 We provide complete wedding & event management service. 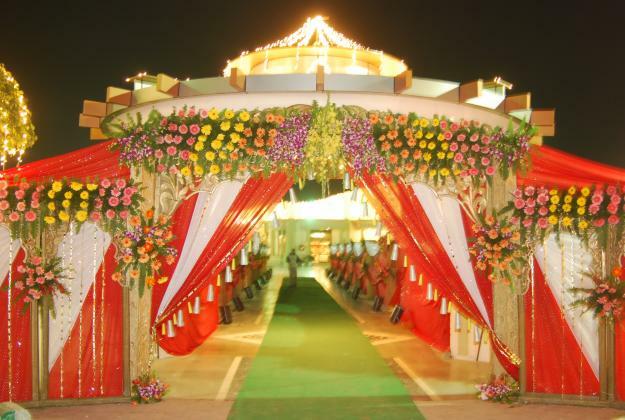 At Eventmanagementindia.com We offer wedding services including; wedding decoration, catering services, Mehndi Night, invitation Card, Marriage Hall / Party plots, Mandaps / wedding Stages, wedding Theme, Corporate events, birthday Party, wedding Photography, wedding Gifts, wedding Cards, wedding Candy Box, and wedding music etc. 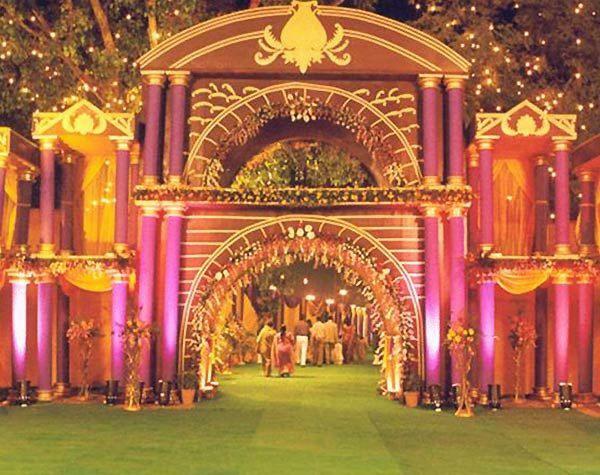 So if you think it`s time, for the dreamy castle then come to Event Management India. Until a few years ago, wedding planning in India meant one thing – family. The arranging, organizing and over-looking of the entire wedding process was done by the couples’ families and themselves. But with Indian weddings getting more elaborate and not to mention more unique and specialized today, wedding management in India has spurned on a growing industry that is entirely its own. Back in the day, Indian weddings were traditionally managed by an army of people in your life – your family. Parents and close family members would take long leaves and vacation days, solely for the purpose of arranging the wedding and wedding functions and everyone was involved or had a say in how things were to be carried out. This left a lot to be desired because too many cooks can definitely spoil the broth! Not to mention the entire affair would spin out of control of the couple’s grasp and further away from their own wedding dreams, desires and tastes. But no more! 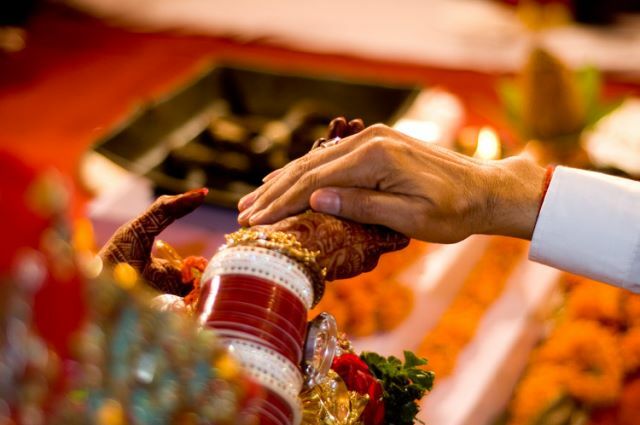 Although weddings in India are still largely a family affair, couples and their families are now opting to get professional assistance with wedding management in India. Initially wedding management in India started with corporate honchos hiring legions of workers from their office teams to handle the affair for them. Work was delegated and different teams were put in charge of handling and coordinating varying aspects of the wedding. However the issue still lies that weddings are not purely a business undertaking or a task to be accomplished; inexperience in the industry was hugely lacking. Today, the growing industry that is wedding management in India comprises of some extremely talented professional wedding planners who are well qualified for the job and have experience and passion under their belts. They understand the importance, cultural significance, emotional magnitude and creative impulses that come with planning a wedding. Couples want their weddings to be this perfect day/ days that are a smooth blend of tradition, modernity, their personalities as well as the wishes of their families. Getting professional help for an event so huge can save a lot of time, stress and money. Contemporary wedding management in India is not just about wedding planning, but about fulfilling the wishes of a couple in love, along with managing a number of vendors and labourwho can get it done. With the change of time, we all want something new and something different. With a strong desire for something different and something new how can marriage be an exception. In the 21st century, India is changing and has become a center for new technology so how can our social intuition remain unchanged. With the introduction of the wedding planners and innovative ideas, you can see that the Indian wedding has changed a lot. Previous marriages required lot of efforts and arrangements and therefore have been unpopular. However, with the recent development and deployment of a wedding planner things have changed. All that has been not only a roof but also made simpler and marriage has given people more time to innovate. As people have more time and are willing to innovate, seek further advice from a wedding planner as they carry lots of experience with them so they can suggest what can be better. There are many examples where you can see a couple has been able to make their marriage a lifetime experience. The best part is that it does not alter its traditional ritualsin actually make a list of the most important rituals that you would like to accomplish and then organized according to the instruction and organized around the theme. Many say that planning is very important and just as wedding planners India Society taught that if the marriage has provided one can easily overcome the difficulties that he or she will face. As we all know how difficult it is to decide the theme of the reception and then take care of the arrangements of chairs, carpets, food and God knows what else. Therefore, it is best to approach someone who can give you suggestions. Are you marriage and choice should always be yours but not bad to have the help of some experts that these days all want our marriages to be the perfect and something new but not so nice sometimes. So I suggest to always be careful of innovation, especially in their marriages as you would marry only once in life. With the previous point also I would like to discuss, with respect to the decoration of their marriages, is a proven fact that all management is difficult. 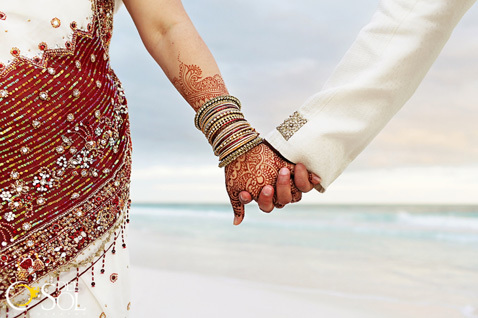 Because they require not only patience, but also requires all the care you or a family member and most likely even you would be busy with the rituals of marriage.Therefore, if you want to plan something innovative and wants arrange smoothly please seek experts advice to those who have lots of experience behind him.